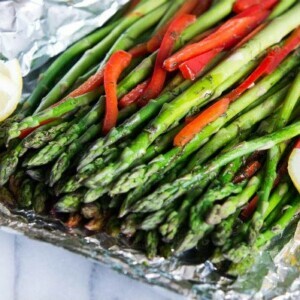 These asparagus are wrapped in a snugly foil packet- complete with plenty of dill and lemon. Red pepper strips added to the packet are a big-time bonus. 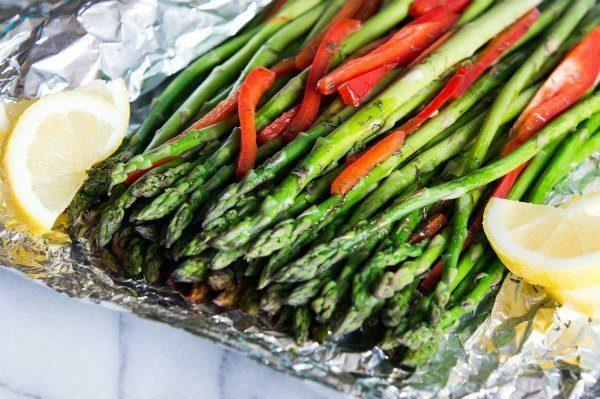 Place asparagus on a piece of aluminum foil large enough to hold the asparagus in a single layer and to fold over and seal. Place the foil and contents into a rectangular casserole dish. Lay sliced bell pepper over asparagus. 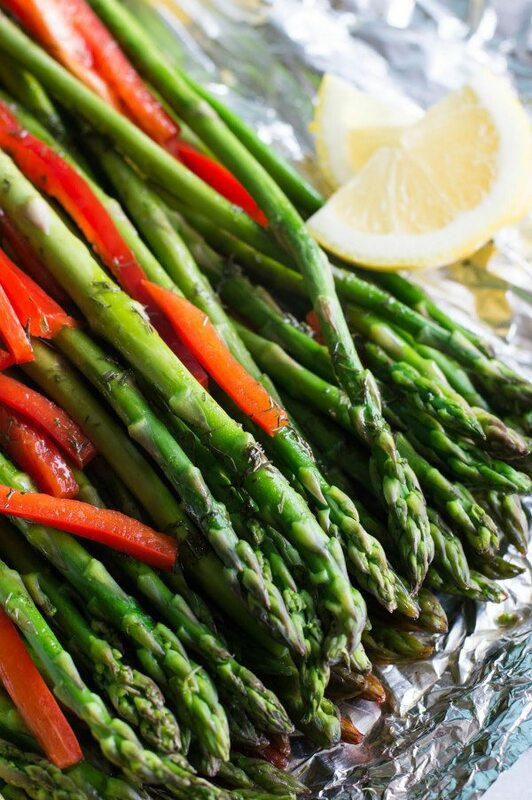 Sprinkle the asparagus and bell pepper with olive oil, lemon juice, and dill. Season with pepper. Wrap the foil around the asparagus (snugly but not tightly), and seal tightly by folding the edges together. Bake 10 to 15 minutes, depending on the thickness of the asparagus. Serve immediately.